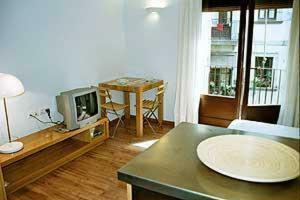 These modern studios are located in the Barcelona's Gothic Quarter, a 5-minute walk from the Ramblas and 10 minutes from Barceloneta Beach. The studios are set in a historic building dating from the 17th century which maintains its original structure. It is a listed building due to its cultural heritage, and all studios are accessed via narrow stairs. 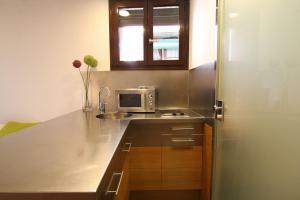 All air-conditioned apartments have free WiFi and a small kitchenette, and are around 20m². They are well connected by public transport . The main office is located at 21 Calle Regomir, in the same building as the apartments, and there is a gift shop and free luggage storage there. All guests must contact the property directly after booking, giving their arrival time at the airport. Contact telephone numbers appear on the Booking Confirmation. 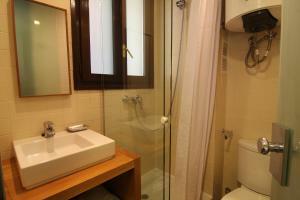 The property will give you a number to call to from the airport to arrange key collection. A security deposit of € 100 is required in cash upon arrival for incidentals. 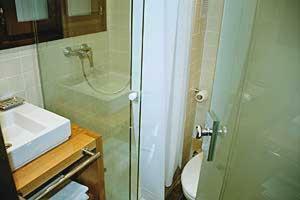 This deposit is fully refundable upon check-out and subject to a damage inspection of the accommodation. 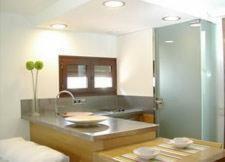 Check-in is possible from 15:30 to 21:00, but must be arranged beforehand with the property. Guest scheduled to arrive in Barcelona before this time can arrange to leave luggage from 12.00 to 19:00, only on weekdays and by previous arrangement with the property. In exceptional cases, such as delayed flights, check in between 21:00 and 21:45 can be arranged. 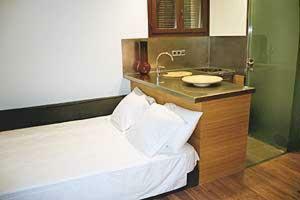 Please inform BCN2STAY Apartments in advance. 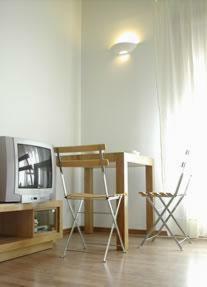 All air-conditioned apartments have free WiFi and a small kitchenette, and are around 20m². Since the building is a historic, listed building dating from the 17th century, access to the studios is via a narrow staircase and there is no lift. 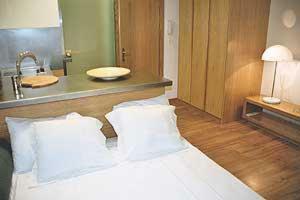 Rate: € 42.00 ... € 54.00; select dates below to get current rates.